Are you a homeowner who has been having issues with electricity? It’s very tempting to diagnose and fix the problem yourself, but if you have little do-it-yourself knowledge, you may be risking making the situation worse. Trying to fix a bad outlet or wiring takes a lot of experience. Instead of trying to read books or learn from videos, why not just save the time a hire an electrician to get the job done? You don’t want to risk injury or further damage to your outlets because you were unaware of how to fix the issue. Play it safe and hire an experienced professional to restore your lighting issues. Identifies the source of any wiring or outlet problem. He/she knows how to get your house powered efficiently and quickly. Comes up with a blueprint and wires your house to your liking. It’s a good idea to walk around each room with the electrician and tell him/her how many outlets you’ll need once the house is done. If you’re going to have people build a house for you, you should make sure you have somebody wire the house as well. Take the time to worry about other logistics of your house instead. 1. Ask for their license. If you think that hiring an electrician is the right way to go, you’ll need to ensure that you find the perfect person for the job. Because they are contractors, they need to be licensed to comply with the building codes. 2. Check the electrician’s references. You can also ask the contractor for some references, so you can ensure that he or she has performed good work in the past that has made people satisfied. This is one way to make sure that you have the best electrician to do the job. You’ll also want to ask the electrician for some proof of liability insurance. You don’t want to end up being legally liable for somebody getting hurt in your home because you didn’t take the time to ask about insurance coverage. When it comes to the financials, ask the contractor to provide you with all costs line by line. An agreed upon total will protect you from any unpleasant surprises. Be certain to specify the fault in detail to make sure the electrician is quoting on the same basis. 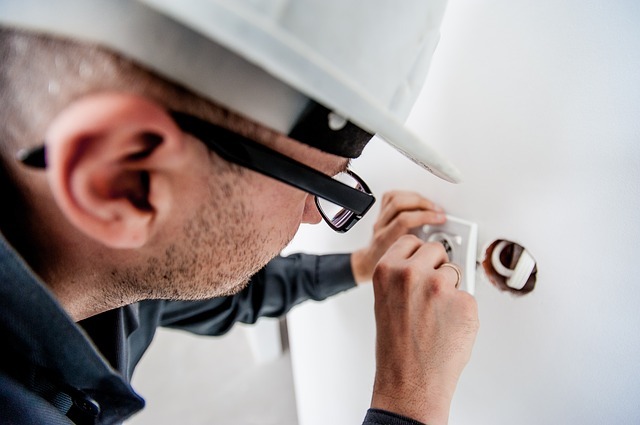 As a property owner, you are responsible for electrical faults in a private residence, and to make certain those errors are fixed by a qualified and competent electrician. Keeping on top of any potential problems or errors, without taking short-cuts, is necessary to protect everyone inside the home. If you can’t find an electrician yourself, ask a friend or a family member for a recommendation. You can also contact a hardware store and ask if they know about any contractors in the area. Chances are, somebody can steer you in the direction of finding someone who is able and willing to work on your house.